Everybody has the right to manage their own financial affairs but sometimes due to illness, accident or disability we are unable to do so as effectively as we would want. Our ability to look after our own affairs may also diminish as we get older. However, there is a way that you can give someone else such as friends or relatives the power to manage your affairs and make decisions on your behalf. This is via a Lasting Power of Attorney. A Lasting Power of Attorney is a very important document that you make whilst you have capacity or understand what you are doing. It allows you to decide who will make decisions on your behalf if you become too ill or incapacitated to deal with your own finances, property or assets such as shares. Or, if you are unable to make decisions about your medical treatment and personal welfare. Most people think that if they become ill or lose capacity then their loved ones or close family, or next of kin would automatically be able to deal with Banks and Building Societies on their behalf. Unfortunately, this is not the case: often the Bank will only speak with the person whose name is on the account. 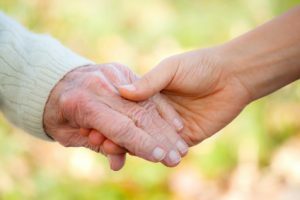 At Martin Gaffney Solicitors we strongly recommend that everyone over the age of 60 should have a Lasting Power of Attorney in place. This service is provided at a fixed price which includes the Court fee to register the Lasting Power of Attorney with the Office of the Public Guardian. If you would like an appointment to discuss this further then please call Brian Henderson on 0113 282 7988. We are also happy to do home and hospital visits.